New legislation required SEA Gas to present certain data publicly. Their website, a primary communication medium, was seen as the go-to method of achieving this. However, their previous site was quite dated, significantly impairing the User Experience (UX) and ease of use for SEA Gas staff trying to upload content. The redeveloped website needed to function well across all devices as around 50% of website traffic now comes from mobile. 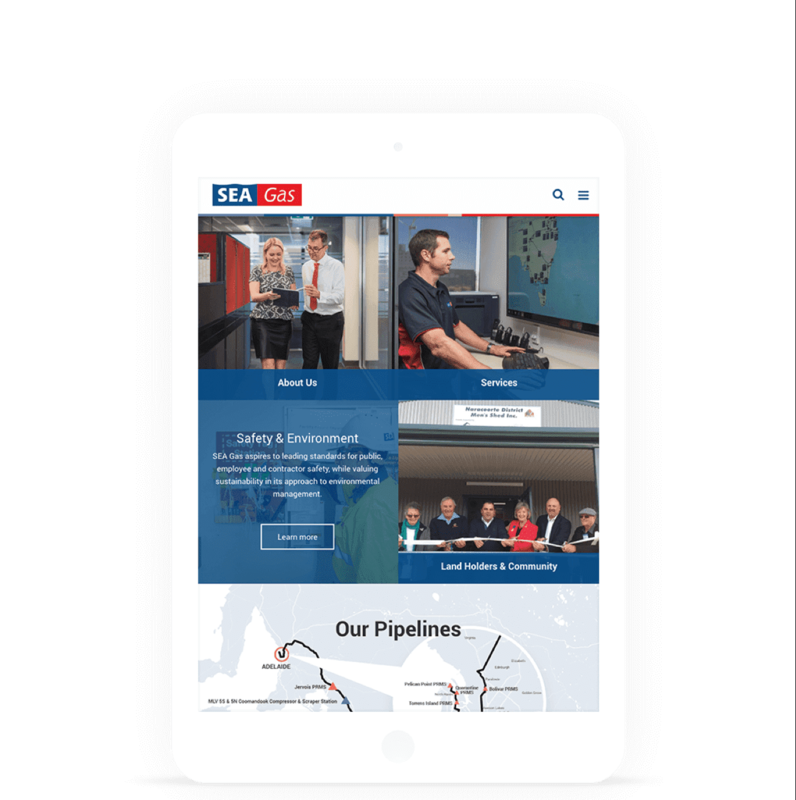 The SEA Gas Website Network Portal was built with our own mobile-responsive custom CMS, Consul™ specifically designed for business enterprise deployments. 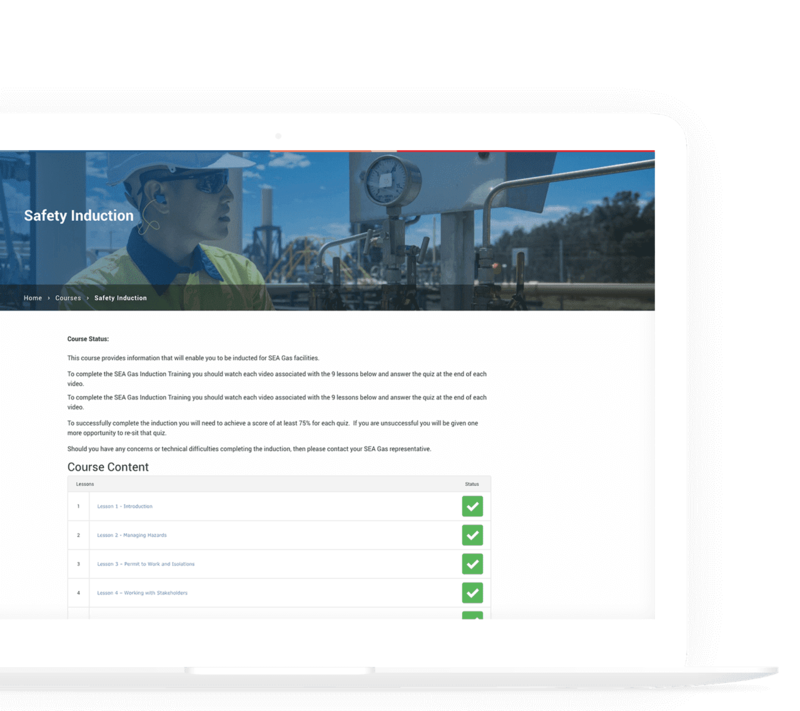 The mobile-responsive platform utilises WordPress, providing SEA Gas with all the benefits of its acclaimed user centric features such as its ease-of-use content management including simple and flexible editing and customisation. In addition to these, Consul™ provides a new robust system architecture to WordPress that can be customised and scaled to deliver functionality, style and enhanced user experience for advanced business application purposes. By developing the new website using our WordPress hardening platform Consul™, we delivered SEA Gas a simplified way of both adding content and modifying existing content themselves. Approved team members now have the ability to update content readily, as required. This can be done from desktop or mobile devices, giving SEA Gas plenty of flexibility and control over their website content and the data displayed. We retained the existing platform used for inductions of staff and contractors, rectifying login functionality issues caused by its previous implementation. The induction process, previously on a subdomain, was brought into the main website platform so that SEA Gas users were not required to leave the site. The responsive website now adjusts to suit the device on which it is viewed and allows the ability for staff and contractors to easily sit inductions on mobile. Due to the legislative changes coming into effect, content presentation was a priority of the project. 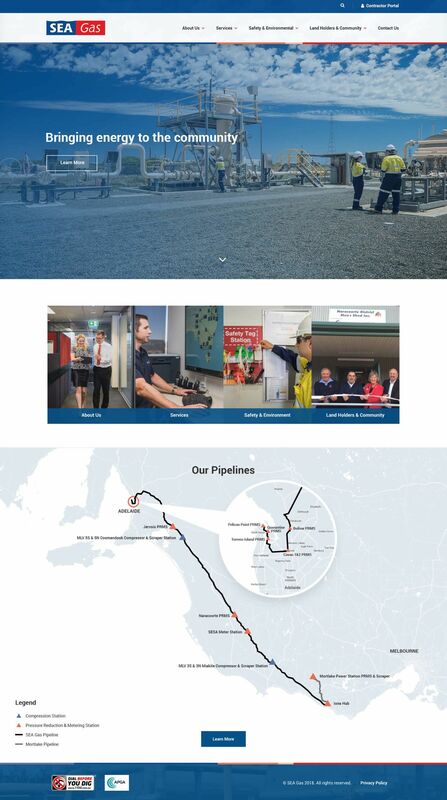 The Homepage was designed to create a specific user journey that showcases who SEA Gas are and the various services they provide, alongside a map of where the SEA Gas pipelines flow. New website sections were structured into a new information architecture that simplified navigation throughout the entire website. The appearance of the website was refreshed to project a professional, contemporary look. This improves the initial impact of the website, summarising who SEA Gas are and what they offer. The clean appearance of the website is also reflected in the website’s feel. The menu bar is prominent and follows the page as it is scrolled. This immediately directs the attention of visitors to the most relevant area of the website in their search for information. The presentation layer of the website was updated to be mobile friendly and to more accurately capture brand personality. We conducted various photoshoots in office and rural locations to obtain the desired imagery. These images were edited to erase old logo designs still featured on clothing and signage, keeping in line with brand guidelines. 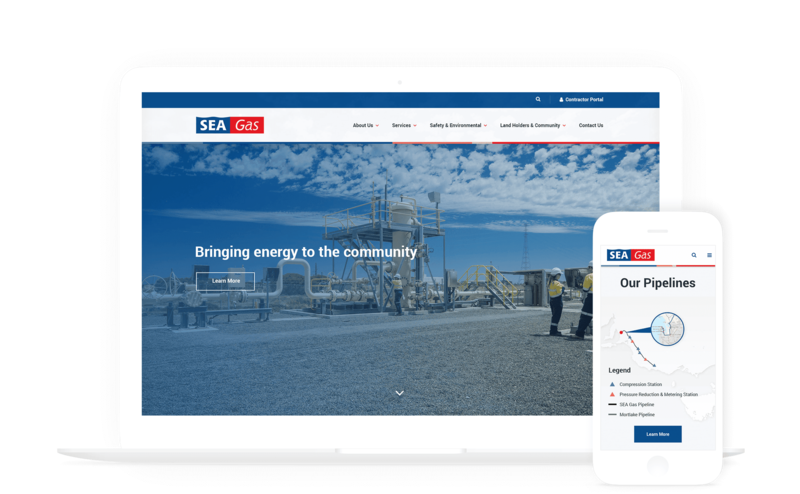 In the first month after going live, SEA Gas began seeing quantitative results indicating the successful use of their website by visitors. A very low bounce rate of 40% and average session time of 3 minutes 40 seconds indicates that website users are using the site as intended in their search for information. 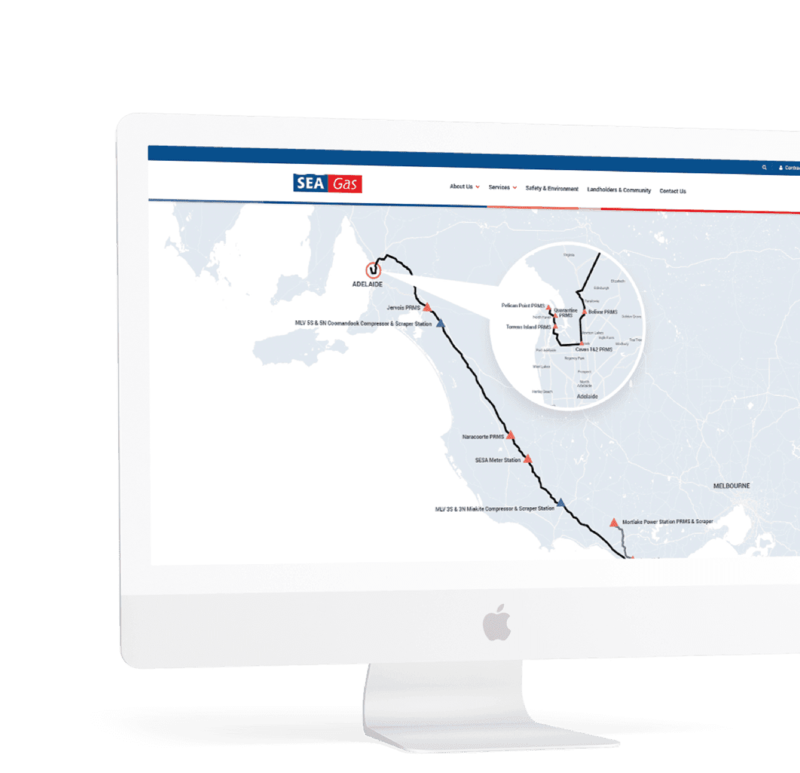 The redeveloped SEA Gas website adheres to new legislation, presenting the information in an intuitive user friendly format. Data required by legislation is easy to find. A clear navigation pathway is offered through the menu bar, making the website easy to search for desired information. Required data is presented clearly and downloadable documents are available. 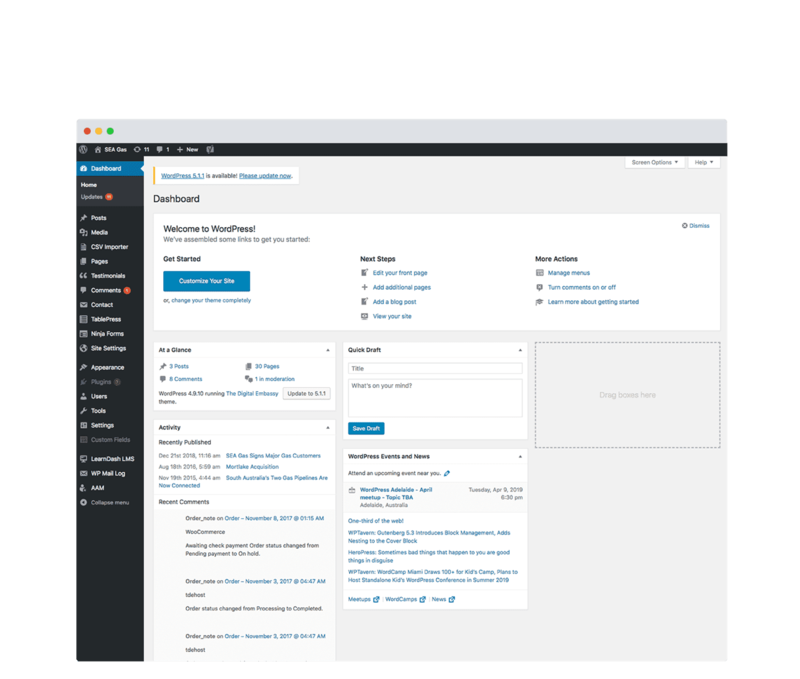 The new website’s administrative backend functionality now allows SEA Gas to add and modify content themselves simply and intuitively. This allows them to easily update and manage information in line with legislation requirements. The responsivity of the site interface allows the regulatory data, along with the rest of the website, to be presented in a format that is viewable on desktop and mobile devices. Additionally, the redeveloped website now allows inductions to be conducted from within the platform on the user’s device of choice.